The singularity of George MacDonald’s extraordinary novel Phantastes (1858) will have most readers struggling to find comparisons. It is unlike anything I have ever read. 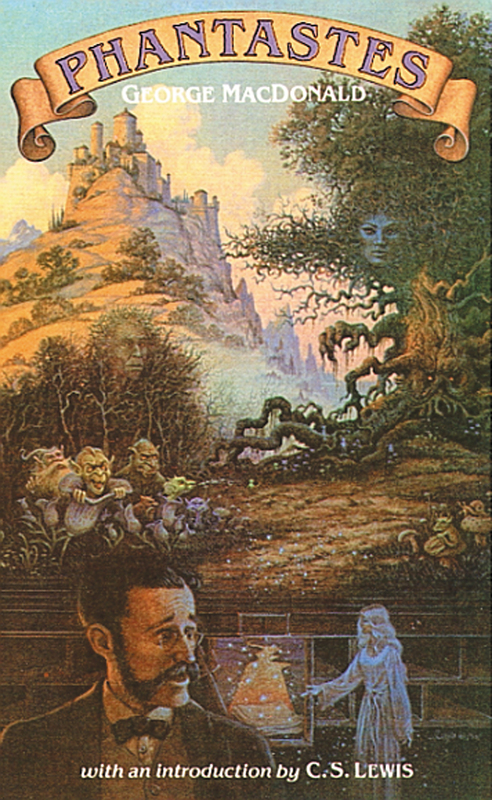 If I had to liken it to something, it would be The Narnia Chronicles (interestingly, the first appearance of fairyland in Phantastes manifests itself in a piece of furniture), The Lord of the Rings or Alice in Wonderland (1865); it’s no wonder then, that Lewis and Tolkien were influenced by MacDonald. What one might call a “fairy tale for grown ups,” Phantastes feels like “escapist” literature in that its unearthly and yet strangely reminiscent atmosphere elicits a sense of nostalgia and longing in the reader. It is a difficult world to leave. The story flows like a dream, but not a postmodern, arbitrary stream of consciousness meant to disorient the reader. On the contrary, the narrative of Phantastes is quite coherent, and written in true 19th-century-English-gentleman spirit. Phantastes is unmistakeably Victorian. As mentioned, George MacDonald greatly influenced C. S. Lewis, not only in terms of literary genre but regarding his faith as well. C. S. Lewis credits Phantastes with first softening his heart to consider the possibility of the existence of God. MacDonald was a minister of a dissenting chapel in England, and, although Phantastes contains no overt mention of God, themes of faith and sin pervade the narrative, but they are expressed in the context of fairyland. MacDonald also published many sermons, including “The Hope of the Gospel.” His fantasy novels remain the most well-known of his works, however, and contribute to the enormously diverse array of literary genres from the 19th century.